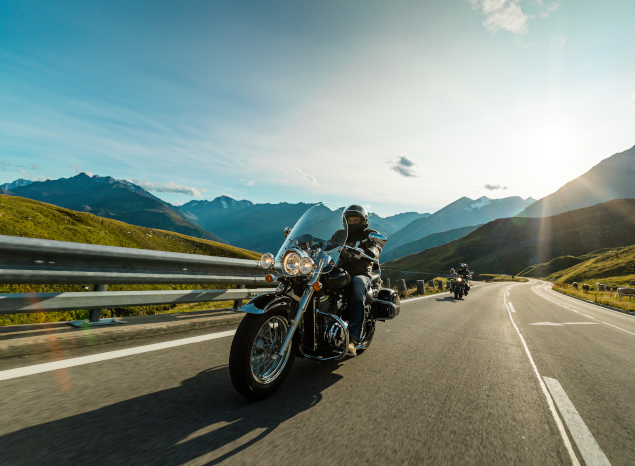 Amid all of the political strife and upheaval surrounding Brexit, one of the changes that will directly affect motorcycle riders is travelling to Europe on your bike after the Brexit deadline – whenever that may be! At the time of writing, this is the latest and most reliable information available but as we all know, the situation is constantly changing. The most important thing to do before travelling is to check the official government website to ensure nothing has changed. The information in this feature applies to the EEA and that also includes the Republic of Ireland as it remains part of the EU. What is changing with travelling to the EU on a motorcycle after Brexit? It’s easier to start by explaining what is staying the same. At the very simplest of levels, your current British passport will still be valid for you to travel to Europe, and this is about the only element that will be the same in the post-Brexit travelling world. However, there are even going to be some changes to how that works too! You must check your passport has at least six months before the expiry date before you travel or you may not be granted entry to the country you are arriving into. Also, UK-passport holders will have to use the ‘non-EU’ queues and may well be subject to increased checks before being admitted so be prepared to wait. It may well be safer to add in extra time for check in at ferry terminals and at Eurotunnel to avoid missing any bookings. What documents do you need to travel to Europe after Brexit? You will need to take your V5C registration document for the vehicle you are riding and if it’s a rental bike or one you have borrowed, you will need to have permission form the owner and a Vehicle-on-Hire-Certificate (VE103B) form if it’s a lease vehicle, hired or on a PCP deal. As well as a passport with six months left before expiry, here’s a list of other documents that you will need in order to be both legal and insured. The current situation of being able to ride across to the EU with just a British driving licence will end immediately when (if) we exit the EU and from that moment you will need an International Driving Licence (IDP). You will still need a valid UK driving licence but you will also need an IDP relevant to the country you will be riding in to be legally covered. What are the IDP types? There are three different types and they are named after the years the legislation to implement them was passed. They are 1926 (but this is not relevant to the EU or EEA), 1949 and 1968. Most countries in the EU and EEA use the 1968 but you must check before travelling. Don’t forget that you may need multiple IDPs if your travels span more than one country. To add an extra layer of complexity, the IDPs most needed are valid for different periods of time with the 1949 IDP only lasting a year, the 1968 IDP valid for three years. The current cost is £5.50 but, confusingly, there are various types of IDP and they are relevant to different countries. For some trips you will need multiple IDPs; for example if you travel from France and into Spain you will need two at a cost of £5.50 each. This is an ever-changing scenario so checking on the Government website is the best and safest way to ensure you have the latest information. What about the European Health Insurance Card (EHIC)? After Britain leaves the EU, the current EHIC will no longer be valid as the UK. This means the free health and emergency cover UK residents currently have in EU countries will cease to be free of charge. What this means is you will need personal travel and healthcare insurance to ensure you have adequate cover against hospital treatment bills that can quickly become enormous. You must check that injuries or illness sustained as a result of riding a motorcycle or scooter will still be covered by your health or travel insurance policy, as some policies will exclude this method of transportation. What about insurance while I am riding a motorcycle in Europe after Brexit? This is another area of change as the old-style insurance Green Cards will be needed once again to show you have valid insurance to cover you against a third party claim while travelling. The Green Card is an actual physical thing you will need to carry with you while you are travelling and it will need to be shown on request of a police or customs officer, in the event of an accident, or possibly at border checkpoints. They aren’t actually green cards but paper documents which should be printed on green paper. The Green Card will be issued by your insurer and the very latest advice from the Association of British Insurers (ABI) is to make sure you get a Green Card issued ahead of any planned European travel, so make sure you factor in time to sort this before your trip. Your insurer may charge a small administration fee for issuing the Green Card and you should factor in at least a month before your travel date in order for it to be processed and to arrive in the post. All UK insurers will still offer the legal minimum motor insurance cover for travel to the EEA countries and there is no need to pay for additional insurance with a UK-registered vehicle. However, the current legal minimum cover is Third Party Only and so if you don’t purchase a higher level of cover, whether through a new policy or an add-on to your existing one, then there are a lot of circumstances in which you won’t be covered. What happens if I don’t get a Green Card? Aside from the fact you may not be able to cross the border without one, this is against the law and you could end up being prosecuted for riding with no insurance. Depending on the country this could lead to a fine, the vehicle being seized and/or prosecution. There is an option to buy local ‘frontier’ insurance policies but these are often expensive and not easy to find cover so the Green Card option is far easier and cheaper. Anything else relevant to motorcycle riders after Brexit? One cost that has yet to be settled is the issue of mobile phone roaming charges which were abolished by EU rules in 2017. This is something that would be relevant to anyone who uses their phone as a motorcycle navigation aid as these apps generally use roaming data to keep the map updated and show where you are going. There is a chance these roaming charges will be reintroduced as soon as Brexit comes into force but in reality, just because the mobile phone networks have the option to bring them back, it doesn’t mean they will. Indeed some have already said they have no plans to bring these charges back but right now, we don’t know for sure if this is going to stay the same in the long term. 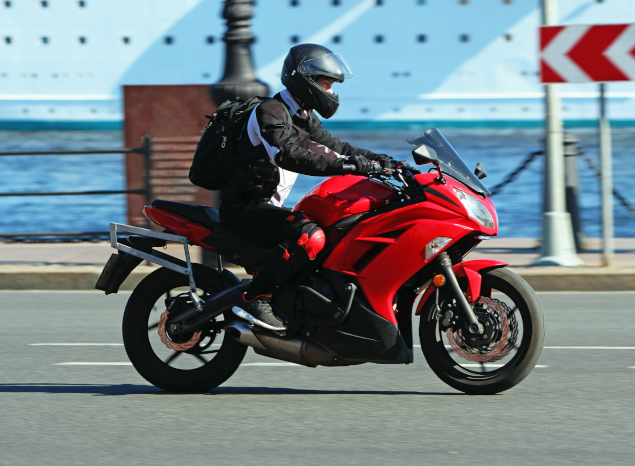 How much does motorcycle clothing cost?